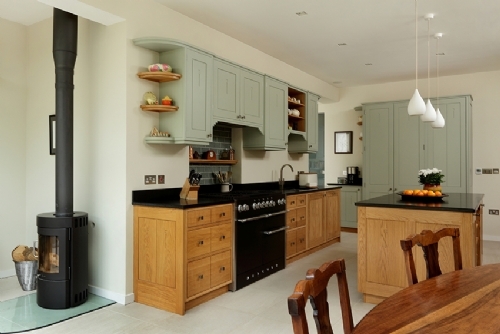 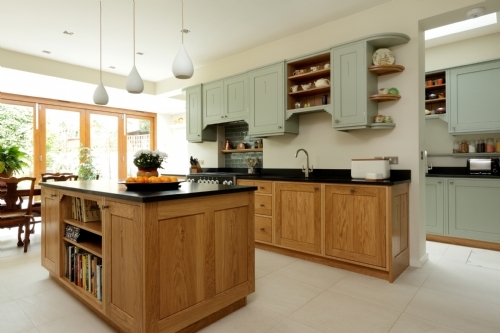 Featuring hand carved Mackintosh-inspired motifs, this unique kitchen for an Arts & Crafts fan combines warm oak with wall units in Blue Gray by Farrow & Ball. 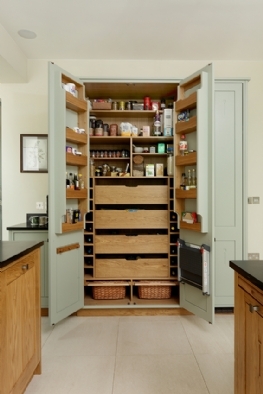 The high-capacity larder unit includes a set of small folding steps to ensure easy access to items on the top shelves. 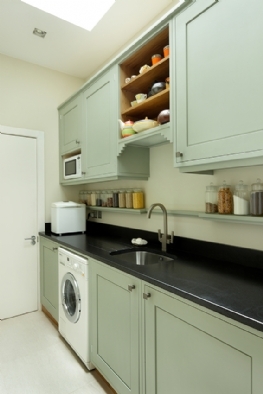 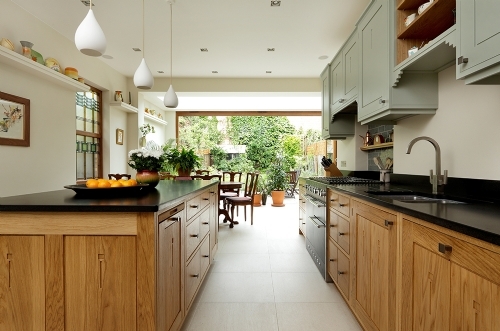 The cabinetry follows into the adjacent utility room where extra storage keeps everything neat and tidy.